Kid’s Journal Brings Therapy Home! When I talk with parents after therapy, I focus on goal areas, skill building, and home activity suggestions. While that is a good thing, parents don’t hear much about the specific activities that were done in therapy. My young clients often lack the memory, language capability or sequencing skills sufficient to tell their parents what they did and how they felt during therapy. 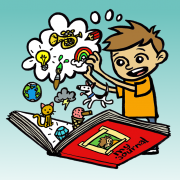 The Kid’s Journal app is a great way to wrap up sessions with young clients and a useful tool for communicating specifics about the session with parents and caregivers. Kids record feelings. Only 5 different expressions are provided but I find this is OK for kids who are under 6 years of age. I use this as a reflective tool to discuss how angry the child may have been when she struggled with an activity but how happy she was when she accomplished it. It’s important for kids to realize that frustration and anger may be experienced when they are learning a new skill but they must still push through to find the joy of success. One picture or image can be imported onto the page. We take the picture during the session or find a picture from my photo library that fits the day. 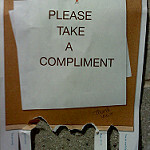 The visual image is helpful and appealing, especially when kids can’t read or write. There is a very small space (6 lines) for recording “What did I do today?” I see many kids who are hesitant to write and intimidated by large spaces. These small, simple lines actually pull kids in to type a little. If they dictate and I type, they need to think about the session and be clear and concise. The entry can be exported to ibooks and then e-mailed directly to parents. This has been a nice feature that encourages kids to talk with parents about their session when they get home. The journals are saved and a calendar button allows you to go back and review previous entries. This app is so simple and easy to use! My not-so-favorite feature: There are only 3 environments from which to choose – “home”, “school”, and “away”. I wish there was another option so OT, PT or speech-language sessions could be differentiated from school or home. A palm tree is the icon that represents the “away” button. (I don’t think many kids think of OT as a vacation!). In conclusion, as an OT who looks for simplicity in apps and opportunities to help kids reflect, the Kid’s Journal app works great! I feel fortunate to be able to review this book. 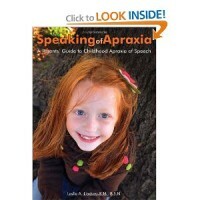 Leslie A. Lindsay, R.N, B.S.N., the author of this book, and mother of a child with Childhood Apraxia of Speech (CAS) reached out to us to potentially read and review her book. I’m so glad that she did. 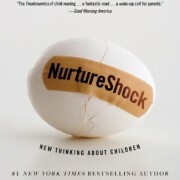 I have found a wonderful resource that I will be recommending to parents and other professionals for years to come. 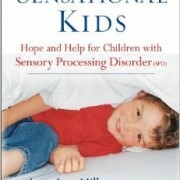 Leslie’s book combines parent perspectives (her own and others’ with children with CAS), the latest academic and medical research, as well as CAS professionals such as SLP’s perspectives. I love her clear writing style, and the way she organized the book. Each chapter has highlighted parent questions/”real life” stories, the “nuts and bolts” of each chapter, a chapter summary, and extensive “Read on!” Recommended Resources, where she offers additional supports such as books, videos, websites, and even individual professionals with expertise. As a professional, I have found this extremely helpful and thorough. One section I particularly love, and will be referring many parents to (both with and without a diagnosis of CAS), is the section she labels “Doctors and Specialists” (pg 37-41). Here she offers clear descriptions of the many professionals that can be involved in a child’s care. I find that these “titles” can be overwhelming and confusing to parents (and professionals alike). She lists the professionals (i.e. Pediatrician M.D, Pediatric Neurologist, Development Pediatrician, Pediatric Physiatrist, Child Psychologist, etc.) and offers clear descriptions of their individual roles, which would help parents who are seeking a diagnosis or support for their child. There is also an extensive list of school professionals (pg 230-232) and descriptions (i.e. Special education Coordinator, Occupational Therapist, Social Worker, etc). Additionally, in this chapter she helps parents through the Individualized Education Plan (IEP), and how best to support your child in the classroom. Leslie also offers supports for parents who want to help at home. She titles a chapter “What you can do at Home” Tapping into Your Inner Speech Pathologist. In this section, she offers specific suggestions for parents for activities they can do to help their child “make progress in a fun and nurturing speech-rich environment at home and on the go.” I found this section to be wonderful to refer parents to. Parents ALWAYS want suggestions for home, and this is a great chapter on ideas. Again, these suggestions would be wonderful for any parent who is looking for ways to create a language rich environment for their child. She offers activities, books, arts and crafts, and toy recommendations. As a therapist, she offered some great ideas for me too. The resources in this book are endless. I have only touched the surface of all that Leslie offers. She breaks down this complex disorder into understandable, manageable sections. I have found myself referring to it constantly for ideas, supports for parents, and overall perspective. Her writing style is easy to read, informative, realistic, and organized. She provides a wealth of knowledge for parents and professionals. I am thrilled to share this resource though our all4mychild network, and at the clinic. I wish I had found this sooner. Thank you Leslie for this opportunity, and for your extensive knowledge on this important and at times misunderstood disorder. ● What makes the new learning stick and have meaning? ● What can I say or do to help kids retain what they’ve learned? ● What makes MY new learning stick? The key is finding intrinsic meaning in the task at hand. The new information needs to relate to something real and meaningful. Making associations or learning with a friend is one way to create meaning and is fun. It also helps if the task is experiential. So many kids come to our Social Adventures Groups with poor self-esteem; the world is telling them they don’t measure up. Our goal is to build competence leading to confidence. They learn how to be a friend; not because we tell them they are good friends but because they are actually acting friendly and are rewarded by kids saying, “You’re my best friend” or “Can you come to my house to play?” The kids don’t need us telling them, “Good job” or “Those words made Johnny feel so much better.” The friendly feedback and all around good feelings create the intrinsic motivation to learn more, try harder, remember, and grow. Reinforcement is good but the ultimate goal is always to create a safe place for children to learn, make mistakes, recover, reflect and bloom. As Spring approaches, I wish you all many opportunities to plant and water seeds of learning in your children and watch them feel proud in all their splendid glory!